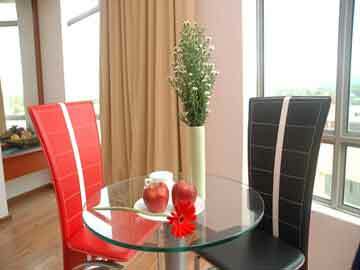 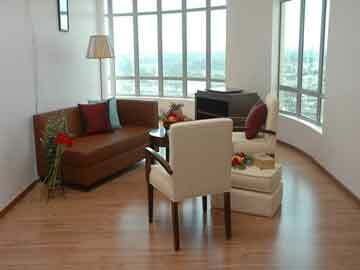 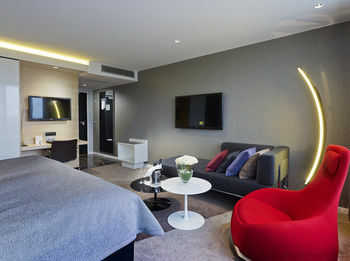 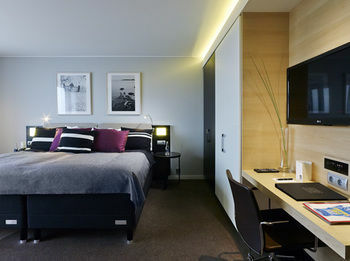 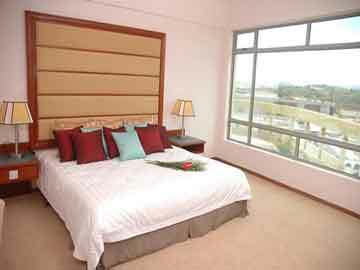 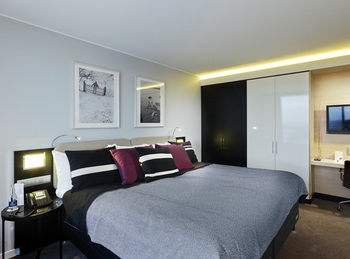 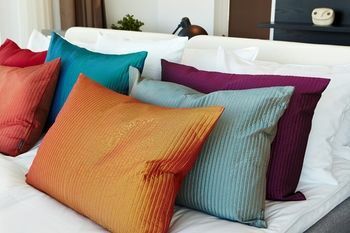 All soundproofed rooms provide free Wi-Fi and wired Internet, TV, and iPod docks. 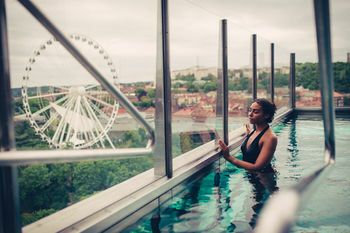 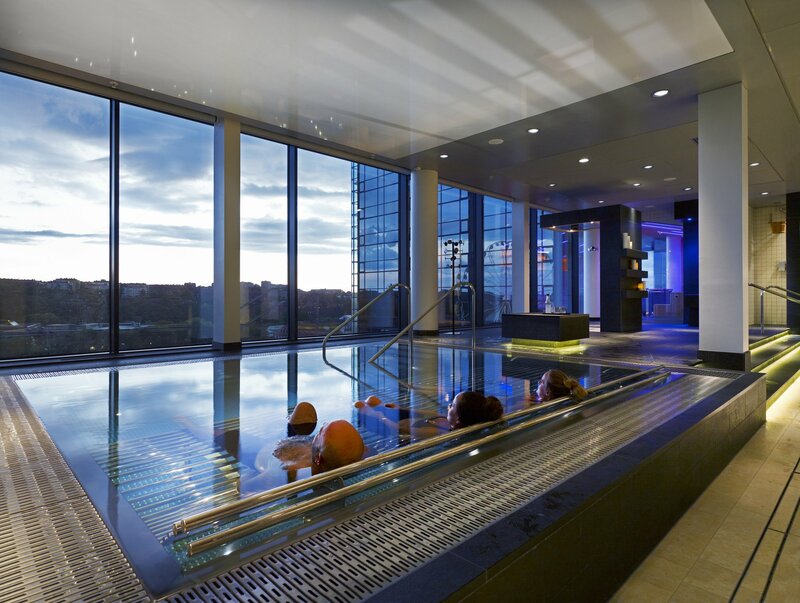 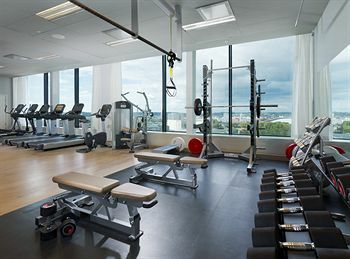 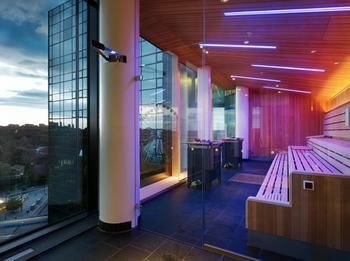 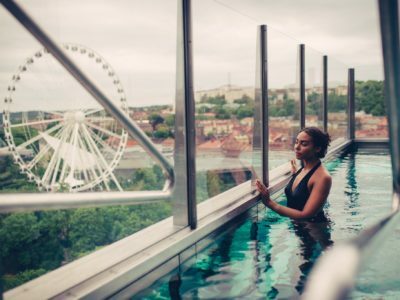 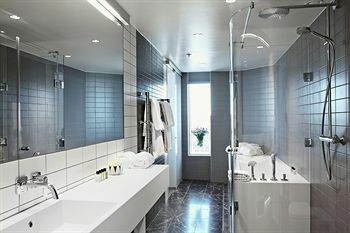 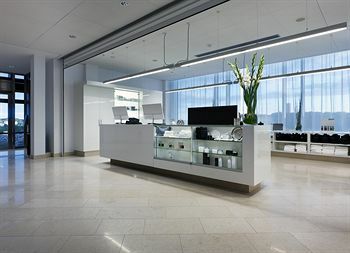 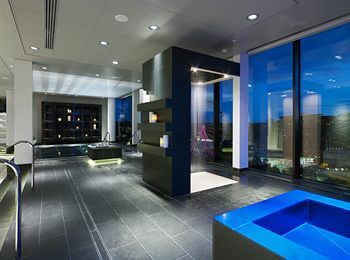 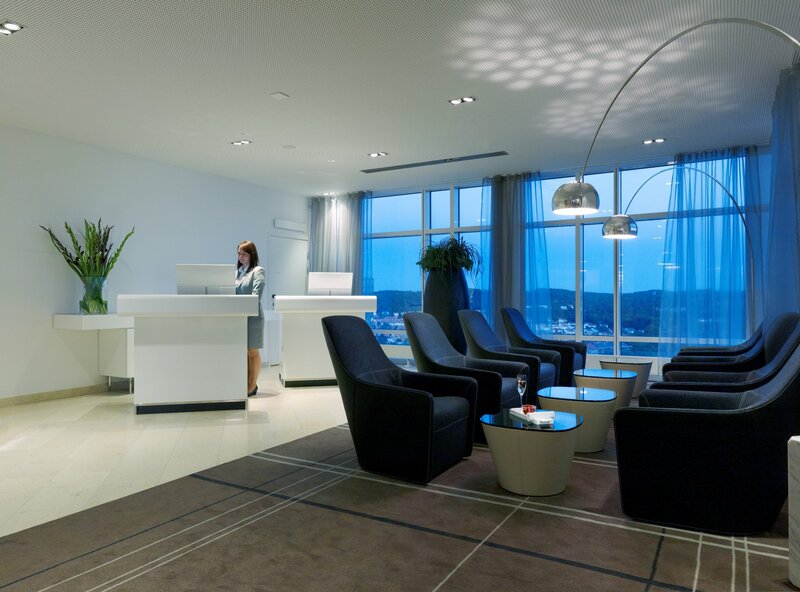 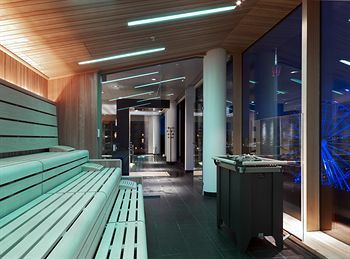 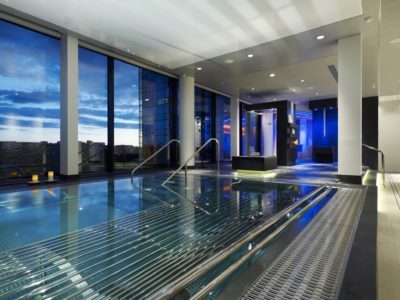 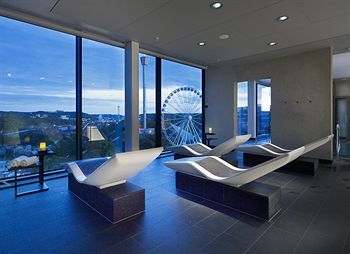 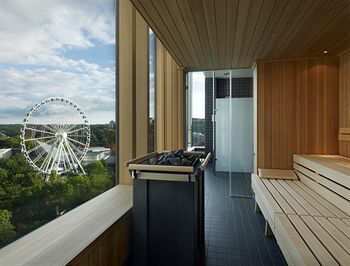 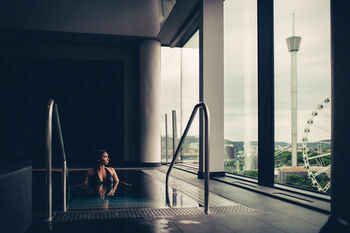 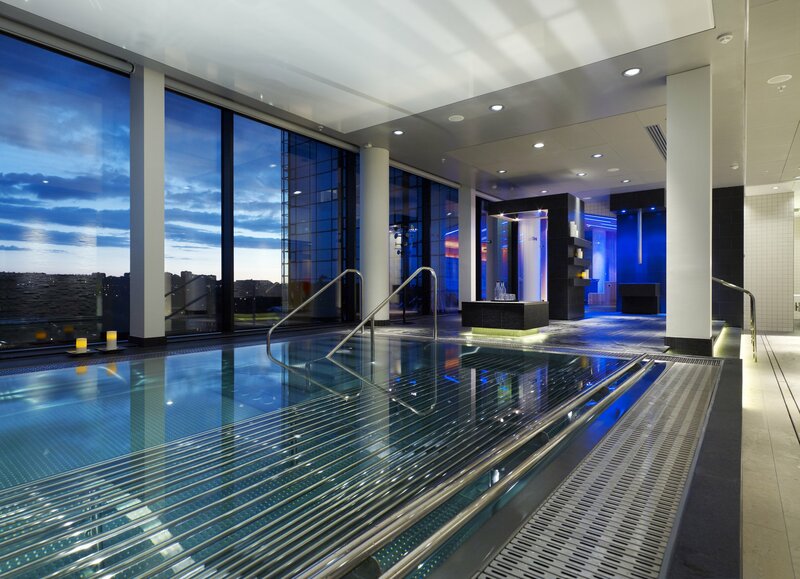 Guests over 16 can enjoy spa treatments in the Upper House Spa on floors 18-20 of Gothia Towers. 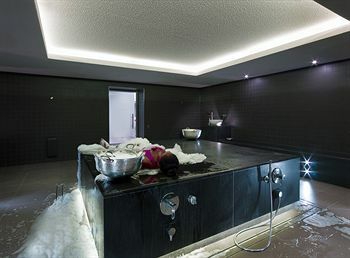 A traditional Hammam resembles the orient with hot steam baths and warm stones. 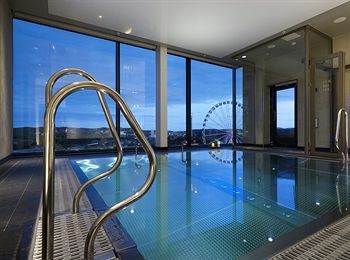 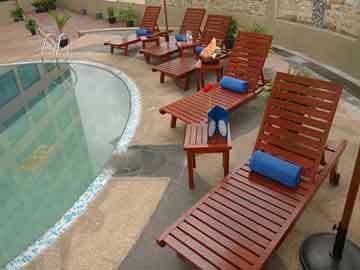 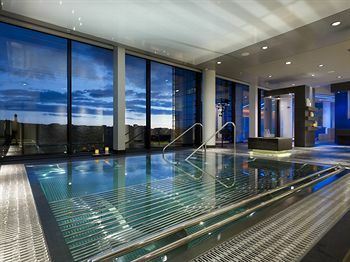 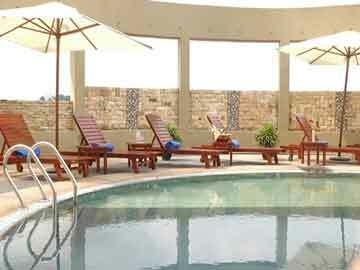 Don’t forget to take a dip in the outdoor pool on the 19th floor with the glass bottom. 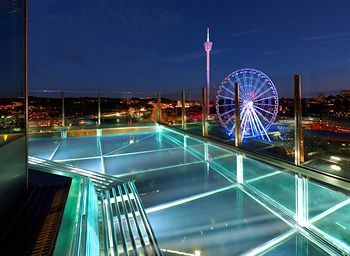 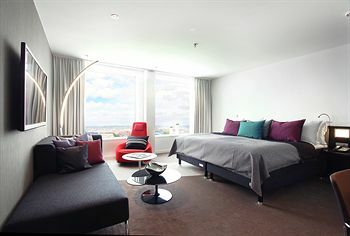 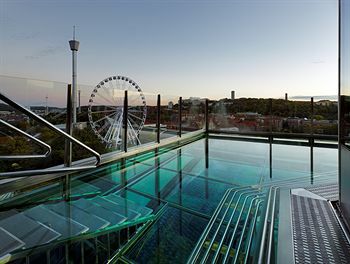 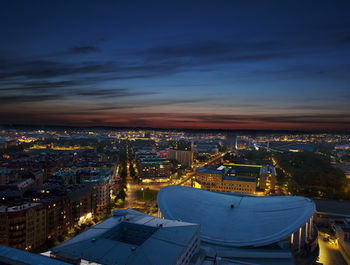 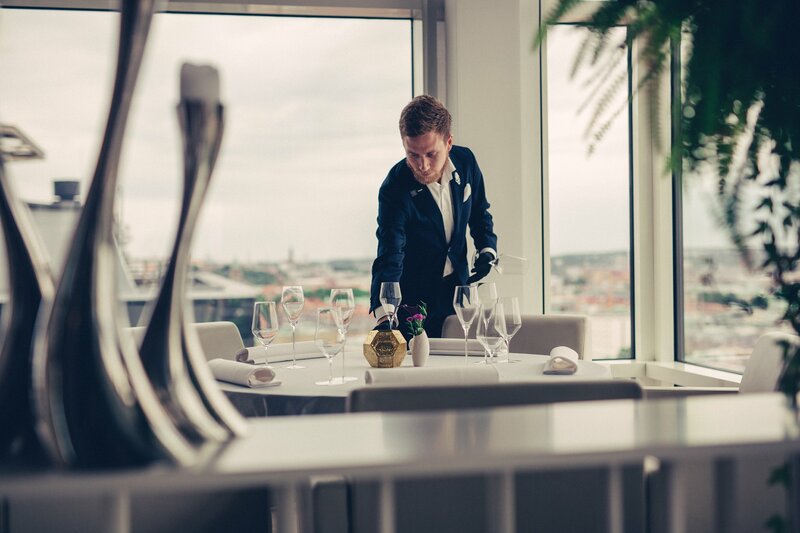 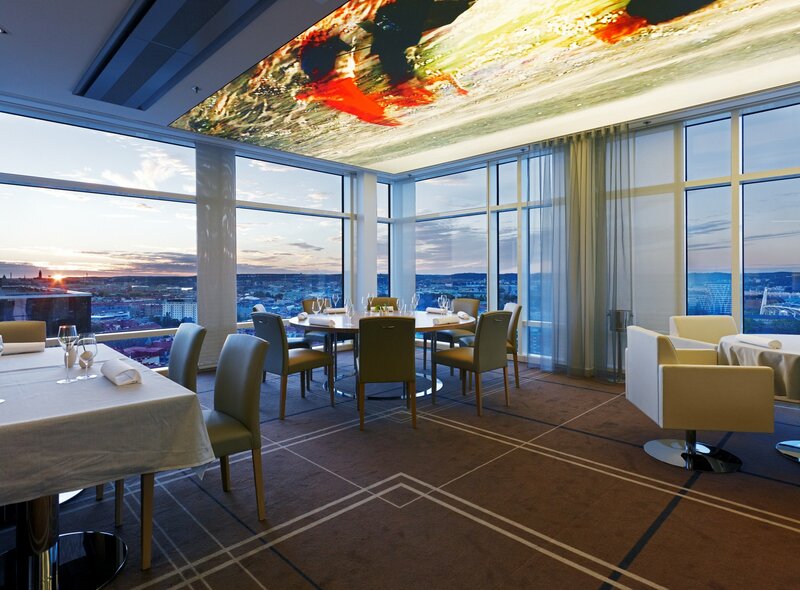 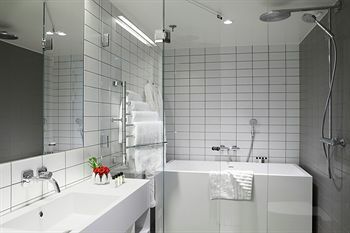 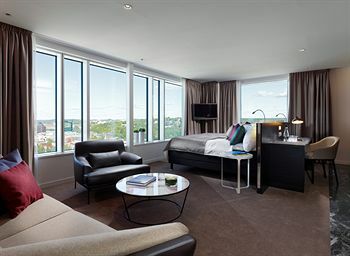 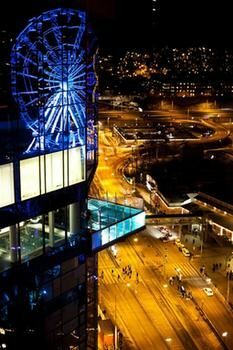 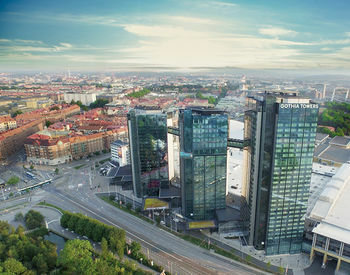 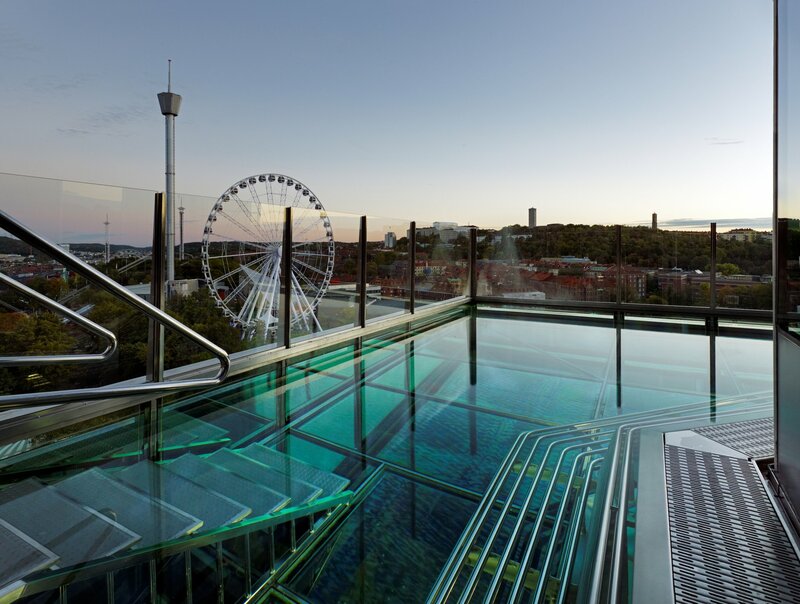 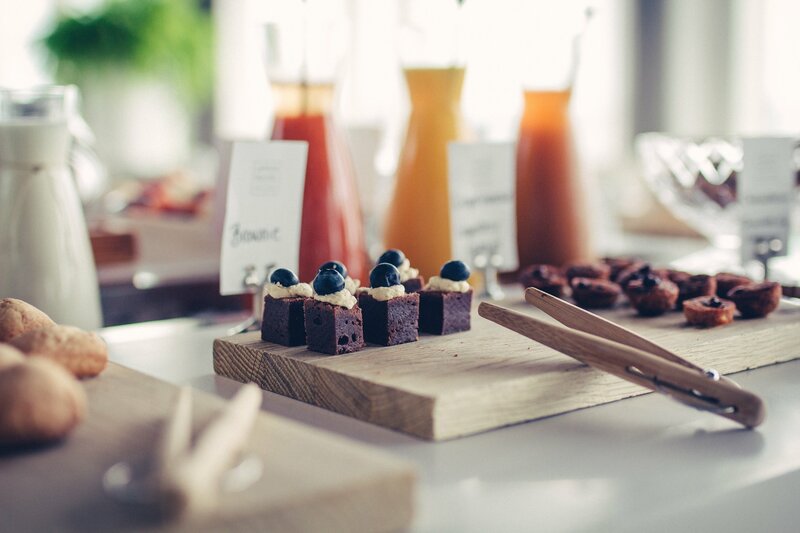 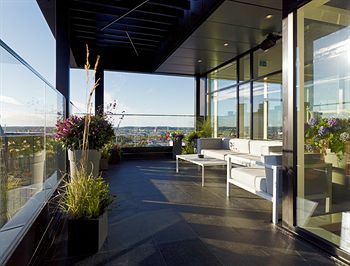 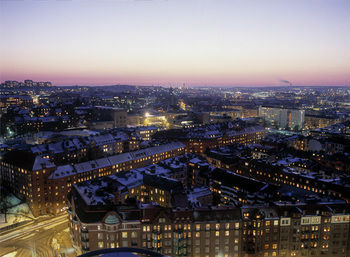 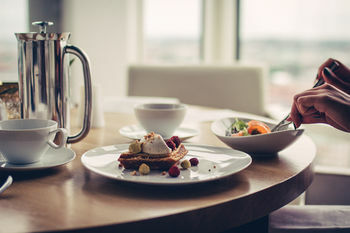 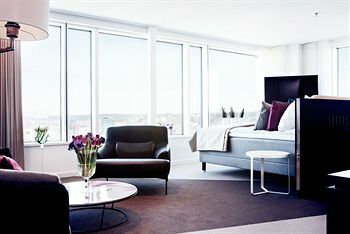 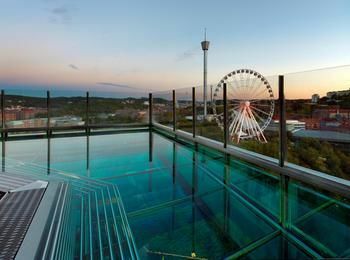 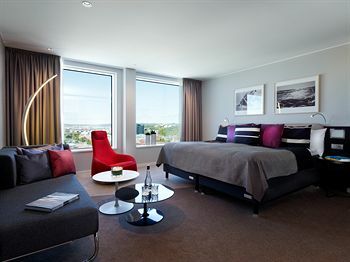 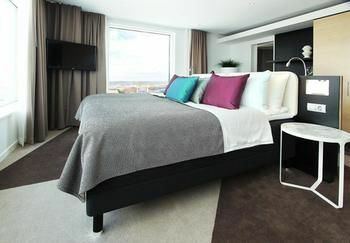 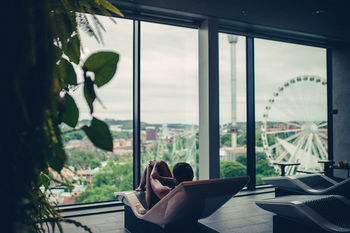 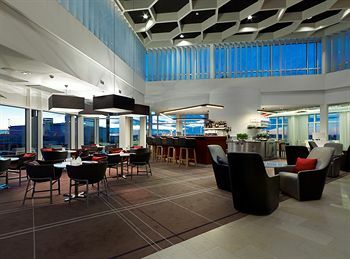 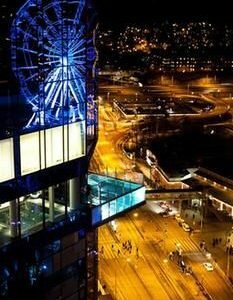 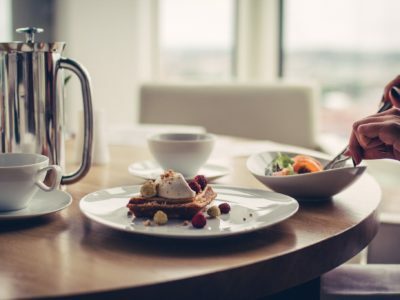 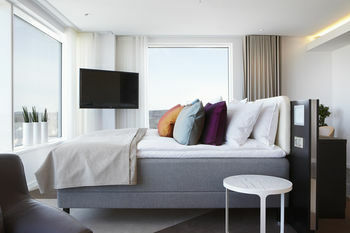 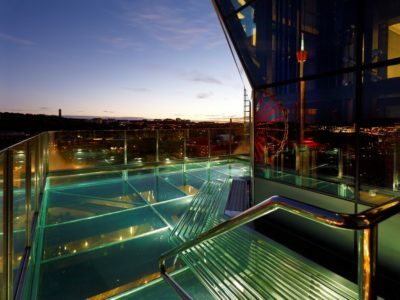 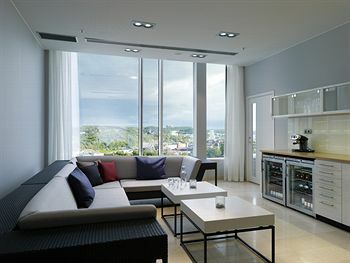 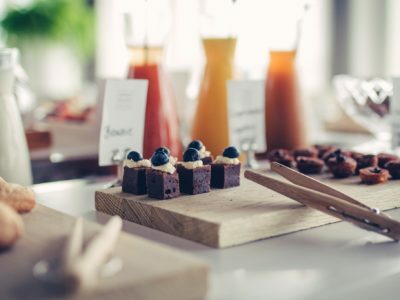 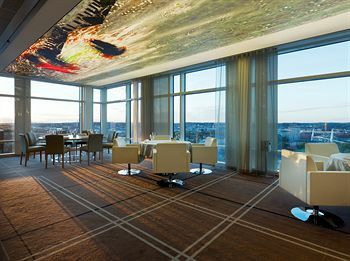 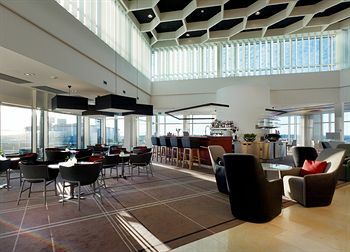 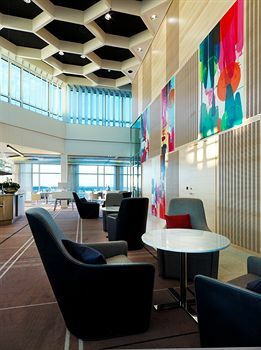 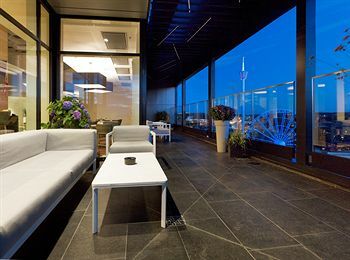 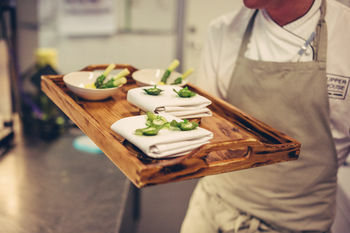 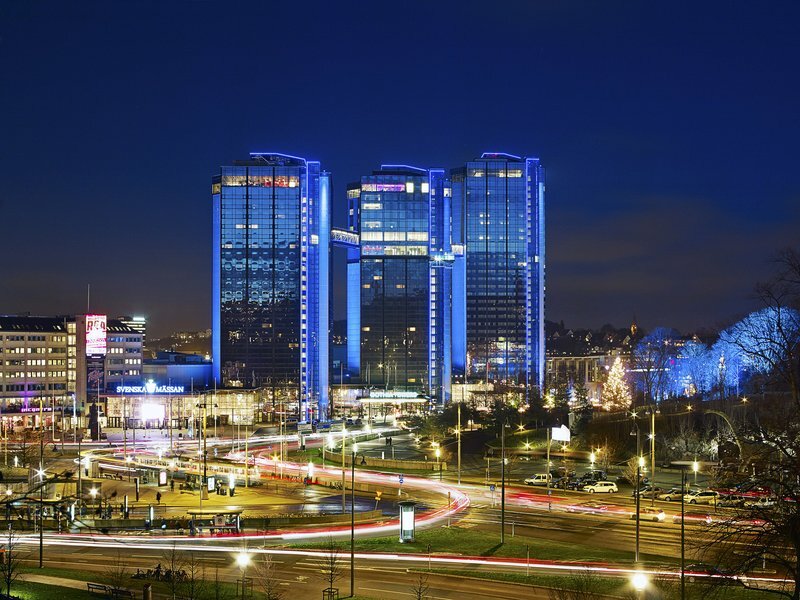 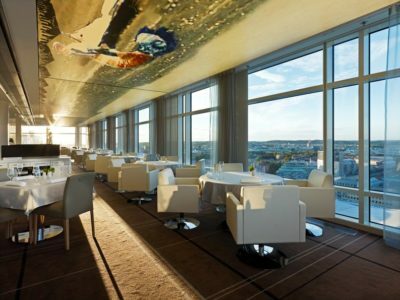 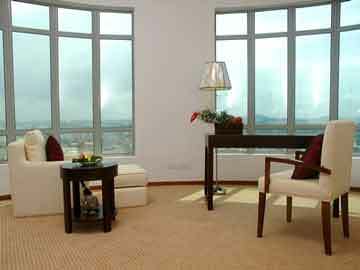 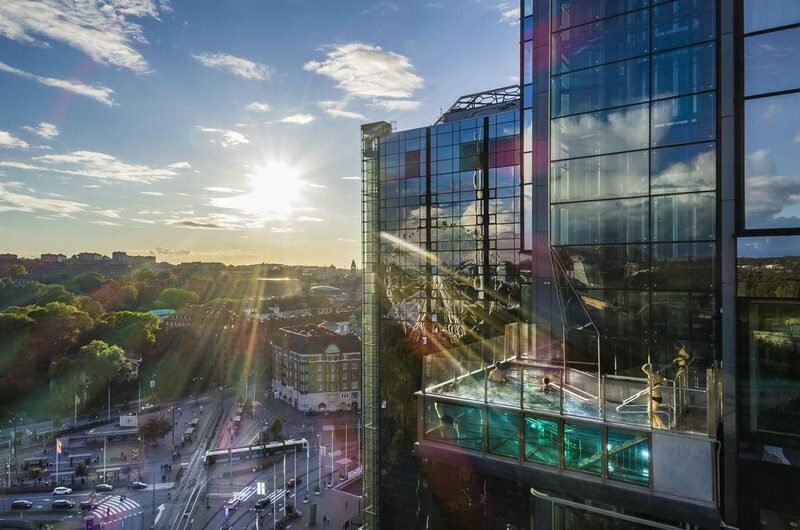 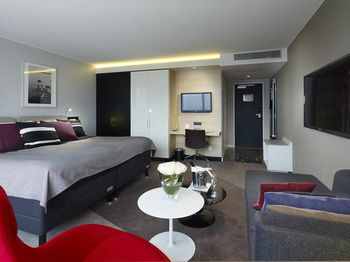 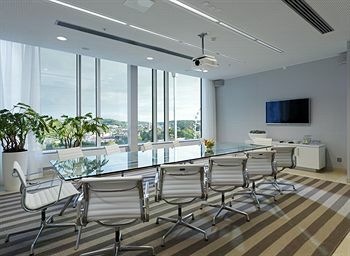 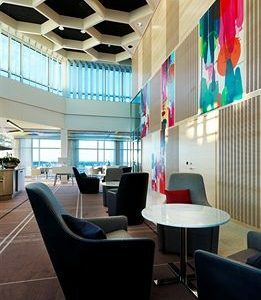 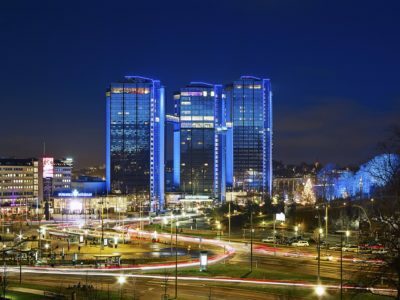 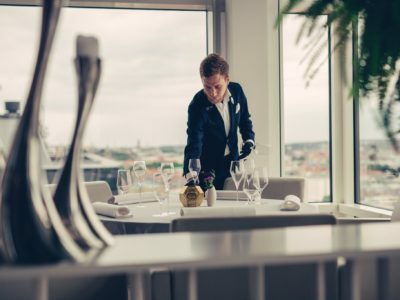 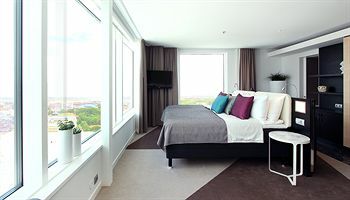 Upper House Dining is located at the top of the central tower in Gothia Towers with a vast panoramic view of Gothenburg. It is open only for dinner. 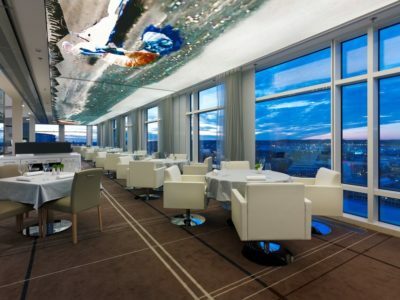 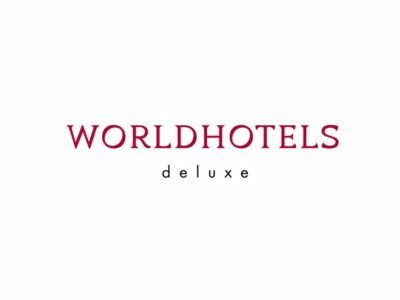 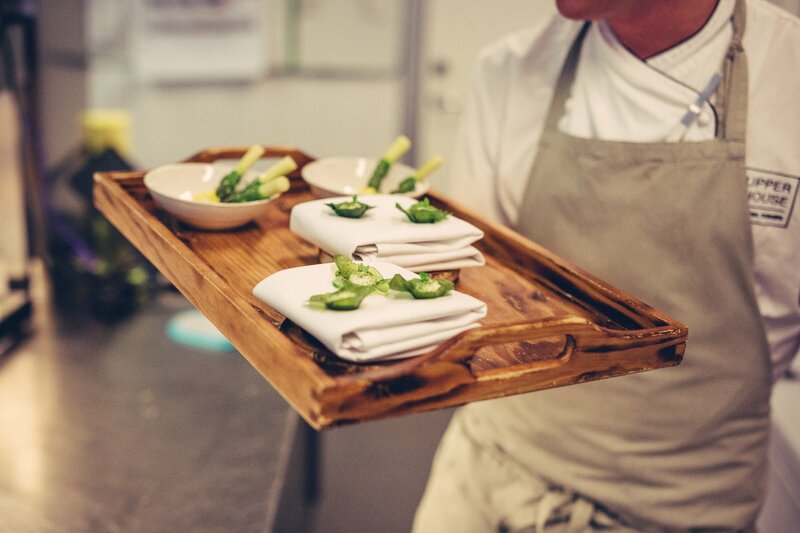 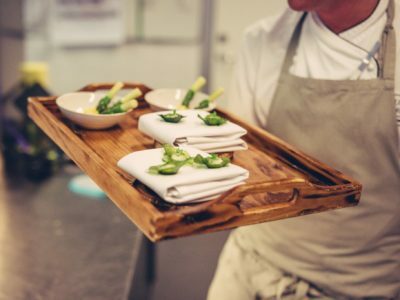 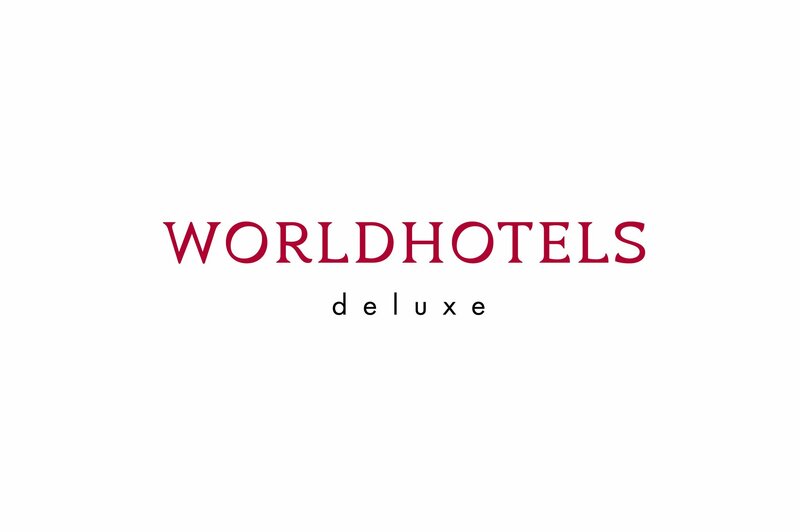 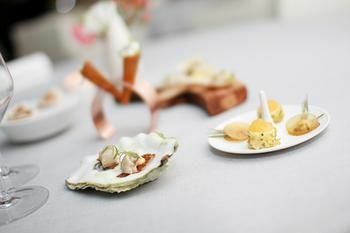 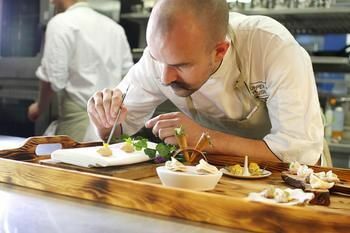 In February 2016 the restaurant won its first Michelin star. 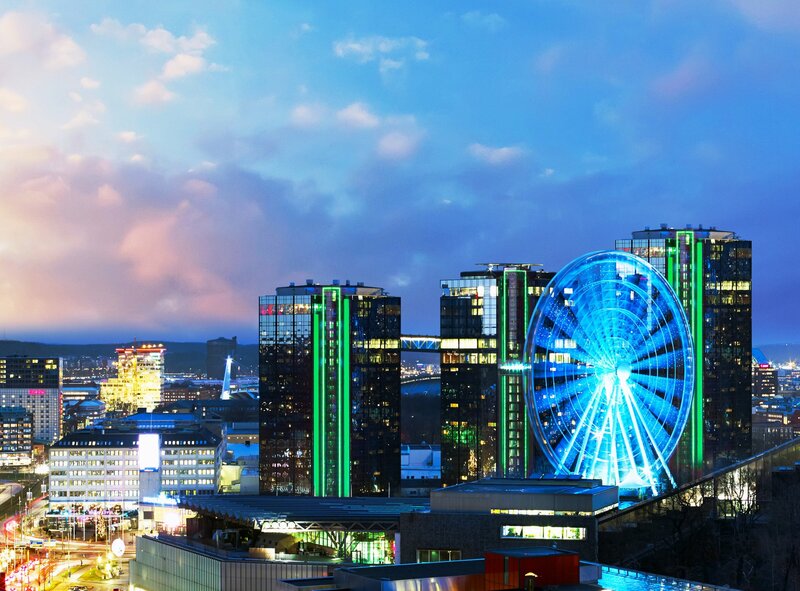 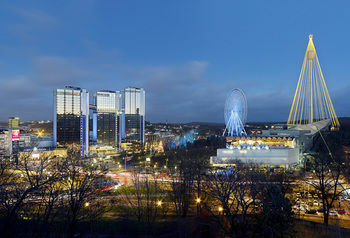 The Swedish Exhibition & Congress Centre is located next to the hotel, while Liseberg Amusement Park is just across the street. 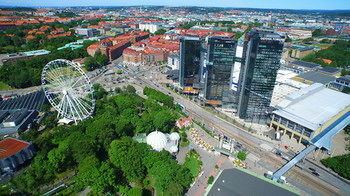 Scandinavium Arena and the city’s main street, Avenyn, are less than a 10-minute walk from the hotel.